Lord Krishna has touched innumerable hearts throughout the world. Immersed in His divinity, a pious event of Shri Krishna Katha reverberated His teachings into the atmosphere of Deoband, Haryana from 3rd to 7th October, 2018. 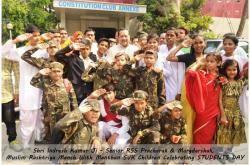 His saga enriched numerous hearts that attended the event. 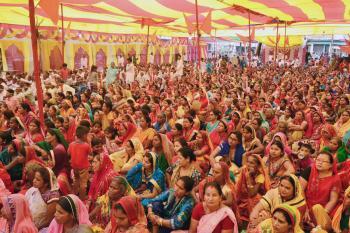 All devotees found themselves singing His glory, swaying in His praises, and drenched in His devotion. 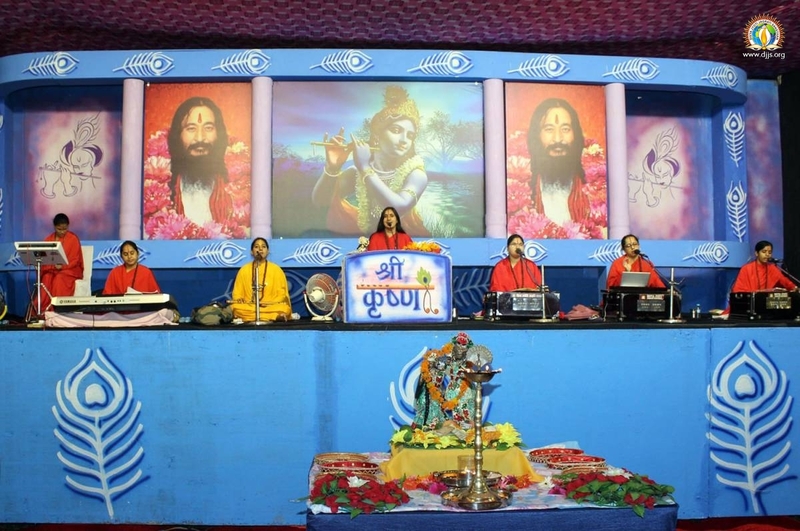 Sadhvi Saumya Bharti Ji along with a team of disciples of His Holiness Ashutosh Maharaj Ji orated the Katha filled with devotional hymns. 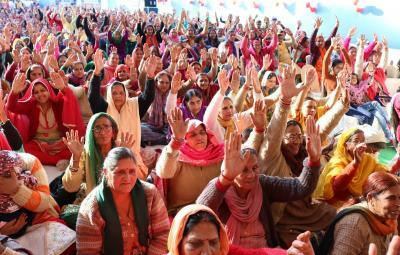 Divya Jyoti Jagrati Sansthan has taken the oath to revitalize the lost depth of spirituality in the society today. 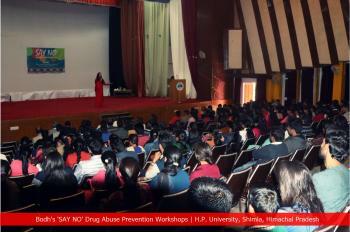 The organization is working tirelessly to bring the change mankind desperately demands by spreading the message of truth. 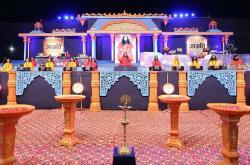 This event served the same purpose by channelizing the wandering minds towards everlasting truth. 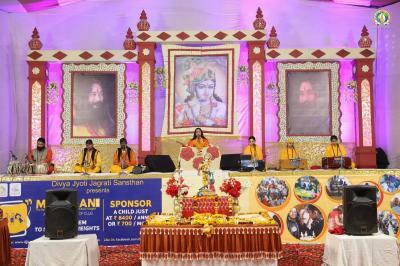 Sadhvi Ji explained in the discourse that Lord Krishna’s incarnation and all His divine plays have one essence – to realize the eternal truth. 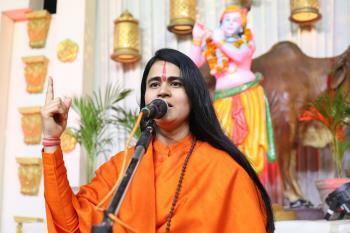 Sadhvi Ji elaborated that truth is one which never changes, and that is simply the Lord Himself. To realize the Lord within is the purpose of human garb and for that Lord Himself has to come and make us realize. 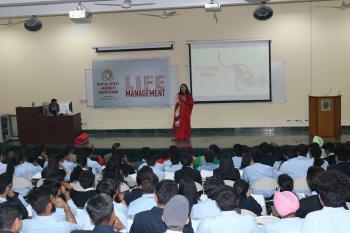 Many devotees understood this message and enlisted to obtain the practical knowledge – Brahm Gyan. 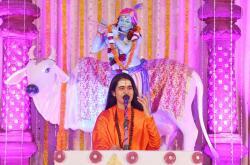 As Lord Krishna states science and religion go hand in hand therefore they must also practice similarly. If science is based on practicality so must be religion. 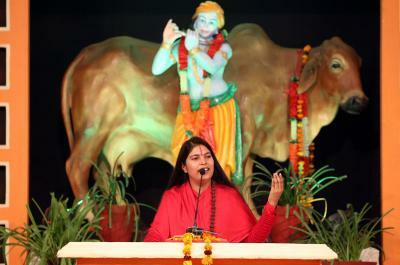 Sadhvi Ji stated that practical experience of the Lord is only possible through the practice of this ancient technique. Yearning and devotion sprung up in many to obtain such a technique to begin their spiritual journey. The locals of Deoband and the surrounding areas requested more such events, to help them progress spiritually as well as in daily lives. The guidance received through every-day examples helped many to understand the spiritual aspects of the Katha. 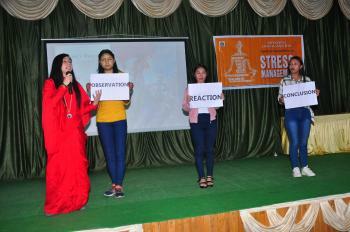 All felt positive vibes in the program that kept their minds engrossed throughout.